By: Kevin Roberson, PE, LEED AP, CPESC, QSD/P | Kimley Horn and Associates, Inc.
We have entered another year of the current drought cycle—which is being referenced as the worst drought in 1,200 years. Winter of 2015 did not provide enough rain and snow pack for reservoir water replenishment. Sierra Nevada snow pack is near a record low. 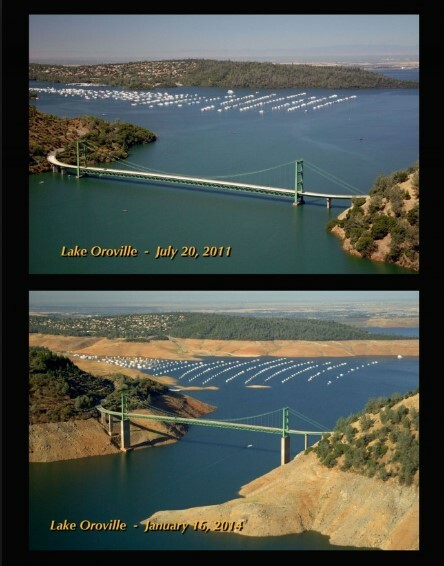 Pine Flat Lake, one of California’s largest reservoirs in the southern half of the state, has continued to lose stored water—it was at 68% capacity in 2009, 42% capacity in 2013, and is now at just 17% in 2015. According to California Department of Water Resources, 2015 was the driest winter in California's written record. The significant lack of snow pack this winter was so alarming that on April 1st, Governor Brown imposed mandatory water restrictions for the first time on residents, businesses, and farms by ordering cities and towns to reduce water usage by 25%. Impose significant cuts in water use on campuses, golf courses, cemeteries and other large landscapes. Replace 50 million square feet of lawns throughout the state with drought-tolerant landscaping. Create a temporary, statewide consumer rebate program to replace old appliances with water efficient models. Prohibit new homes and developments from irrigating with potable water unless water-efficient drip irrigation systems are used. Ban watering of ornamental grass on public street medians. Require agricultural water users to report more water use information to state regulators, increasing the state's ability to enforce against illegal diversions and waste. Emergency act of 2014. Signed in July 2014, restricted water use and imposed fines of up to $500 per day. In September 2014, Governor Brown signed the Sustainable Groundwater Management Act. In March 2015, Governor Brown unveiled an emergency $1 billion spending plan to tackle the drought. This plan will use money from the Governor’s budget and Prop 1 funding. As engineers, we need to educate and coach our clients to use water efficient irrigation and drought-tolerant landscaping, to eliminate ornamental lawns and water intensive plants, and to promote infiltration of stormwater. Water is a precious resource and the responsibility to conserve it falls to every one of us.